Princess Diana, “England’s Rose”—7/1/61-8/31/1997—was born into the aristocratic English Spencer family, and became the wife of Prince Charles of Britain in 1981. Charles was under pressure to marry and produce heirs to the throne, as he was then approaching his later thirties. He began seeing Diana and they married after a brief, but very public engagement. Although this royal marriage was a very romanticized and televised event, in time Prince Charles continued a relationship he was in prior to the marriage, while Diana had two sons by him, William and Harry. As the marriage between Charles and Diana deteriorated, the once "Shy Di" never got used to the extreme scrutiny of her public and private life, and she began to involve herself in many charitable activities. Diana loved children, and often visited children’s hospitals, and hugged people with leprosy, AIDS, and drug problems. She was a very loving and kind person, as most Cancers are. It was her wish to give her sons a “normal” childhood, something that put her at odds with the Queen, but endeared her to the public. Diana would often take them away from the palace and sneak them to amusement parks so they could enjoy the simple things other children did. But it was very hard for this private, yet fragile person, to be living so public a life. In 1992, the Palace allowed an “amicable separation” between Charles and Diana, as they both were living separate lives, with Charles still seeing Camilla Parker Bowles (now his wife) and Diana engaging on a series of affairs. The Prince’s rejection of her hurt deeply and she suffered from bulimia and depression while married. Diana was still Mother of the two next heirs to the throne though, so continued to live in part of Buckingham Palace. Diana also traveled to Bosnia to try to persuade countries to rid themselves of land mines, as so many people, particularly children, are crippled by them each year, and was honored for this. She began dating Dodi Fayed for a summer, and while traveling with him on 8/31/1997 in Paris, was killed along with him in a driving accident in Paris. The driver of the limo and only survivor of the crash, Henri Paul, had no memory of the events before it. Although he was drunk at the time, he was being heavily pursued by the paparazzi, and this was deemed the cause of his car hitting the wall of the tunnel that demolished the limo. The English public was shocked and came out to the palace in droves to mourn Diana, moving the Queen to come outside and speak to the mourners in person, in a rare appearance. It has been said Diana only dated Fayed to annoy the Royals, but Fayed’s Father claimed that his son proposed marriage to Diana shortly before the car crash. He finally dropped conspiracy charges regarding his son and Diana’s death after 10 yrs., out of respect for William and Harry. Diana always said she wanted to be the “The Queen of People’s Hearts.” It appears that she did accomplish that goal. Now, in 2017, Diana's eldest son William and his wife Kate have an active toddler named George, a daughter named Charlotte, and a new baby on the way. I hope the couple remains strong enough to protect themselves and their family from all the public scrutiny which they will be subjected to. 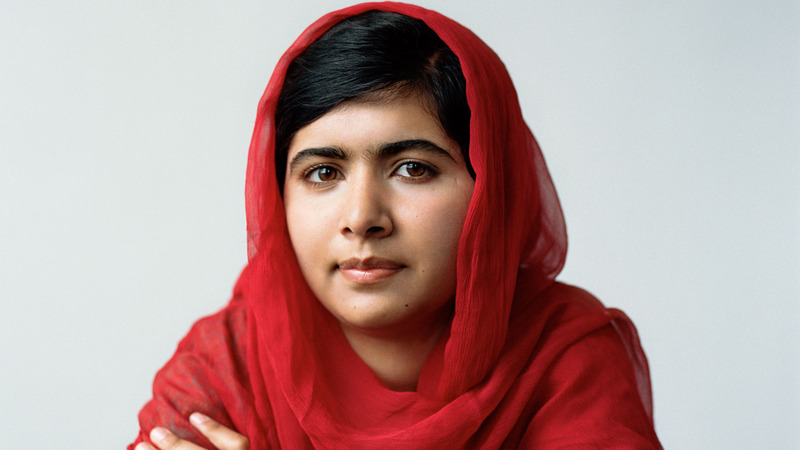 Malala Yousafzai, 7/12/1997—is the young woman from Pakistan who was shot simply because she got on the bus to go to school, like most young people do everyday. Her family always valued education, but as her country was becoming overrun with terrorists who believed women didn’t have the right to go to school, many girls were staying home. The Taliban forbid girls in her native Swat valley to attend schools, but a few brave ones continued to go anyway. Malala was singled out and was hit by three shots the day she was attacked on the school bus, critically injured. One bullet hit the side of her forehead, traveled through her face, and went through her shoulder. Malala remained unconscious for several days, but in the face of media attention, was finally brought to the Queen Elizabeth Hospital in Birmingham, England for treatment. At the time, her family was frantic, and government officials had to quickly get her a passport to get her to the hospital. So when she awoke, she was alone and frightened, her family had not yet arrived. Offers came pouring in from doctors to help Malala, because her condition was so serious. The Pakistani government paid all her medical bills, and after several serious surgeries, one where she had to be put in a coma, she began her journey of recovery. 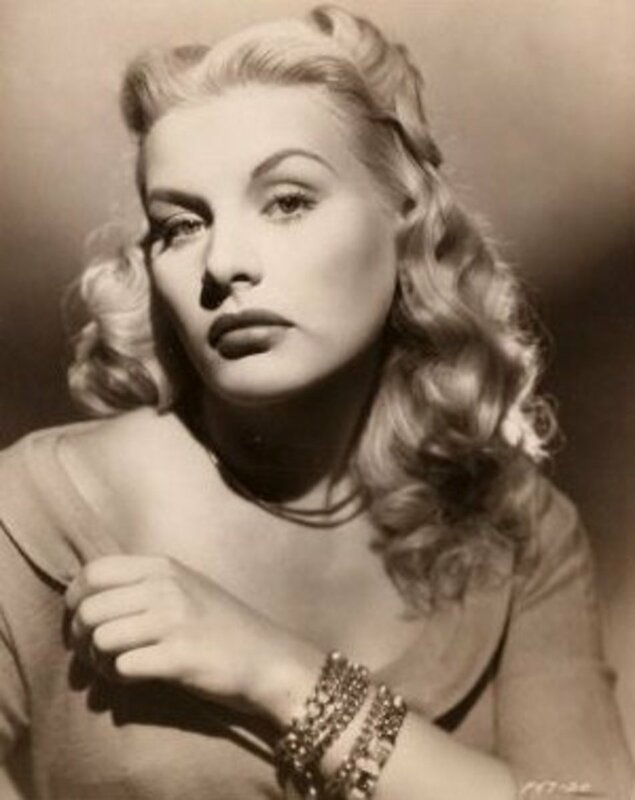 She thankfully has no brain damage, but her skull had to be reconstructed, and her lost hearing had to be restored. This disgusting assassination attempt has begun a great outpouring of support for Malala in the International community, as she has become a Pakistani icon for Women’s Education. The 2013 Time Magazine named her “one of the most Influential People in the World.” She received Pakistan’s first International Youth Peace Prize. Malala has spoken at the United Nations about the importance of young girls and women getting education. Later in 2014, she was the co-recipient of the Nobel Peace Prize for her struggles against the suppression of education. In the April 27, 2015 issue of Time Magazine, it announces that a Nasa Astronomer named an asteroid after Malala, now called 316201 Malala. Sadly, the Taliban split up her family and they were displaced from the valley where they lived. 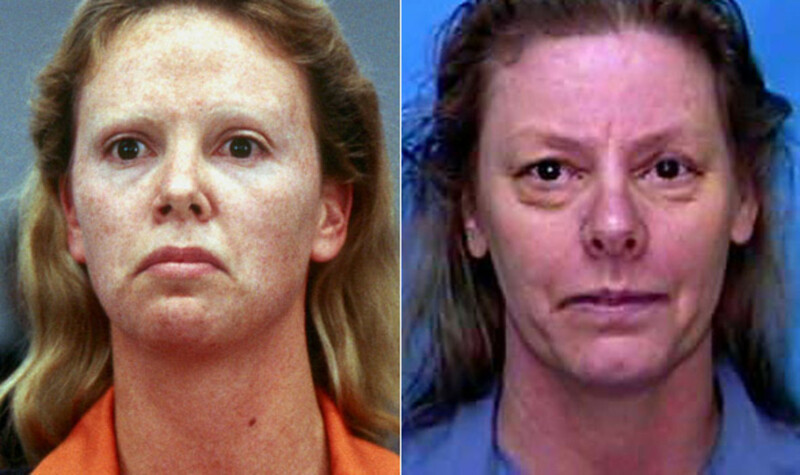 As she became more recognized, death threats to her and her family became more common. Finally the Pakistani army pushed the Taliban out of the valley, and the family was reunited and returned home. But Malala had to stay in Birmingham, England for quite some time before it was safe return home. Although revered as a heroine in the U.S. and other countries, her reception in her homeland of Pakistan has been mixed. Many feel the West used her to bring their own agenda to Pakistan, as if educating women is so dangerous. They also don’t like the spotlight on the fact that there are so many militant groups who are dangerous running loose in their country. Although Malala’s shooter has been indentified, he remains at large. Malala’s book, “I Am Malala: The Story of the Girl Who Stood Up for Education, and Was Shot By the Taliban”, is banned in Pakistan. But it is definitely worth reading, and shocking to people in other countries where we often take education for granted. Nelson Mandela—7/18/1918—12/05/2013-- became the first ever democratically elected President of South Africa for the period from 1994-1999. Mandela was an anti-apartheid activist, during a time where rich, white people dominated the African land where he was from, and did all he could to bring attention to the inequities the black people endured from the whites who overtook his country. Mandela was arrested in 1962, and falsely convicted of sabotage, serving a prison sentence of 27 years, primarily on Robbin Island. It is not unusual for Cancer people to either be forced into lonely living situations, either of their own making, or because they choose to, like Thoreau. Immediately upon attaining his release, he began negotiations which led to democracy in South Africa in 1994. He advocated policies fighting poverty and inequality during his Presidency. Mandela was born of a line of royal ancestry in Africa, so he was educated. He was about to be put into an arranged marriage, but moved to Johannesburg to avoid it. Around 1960, Mandela became involved in politics which were aimed at ending segregation. He had military training and guerrilla war training, but felt pushed to use these measures as a last resort. Years and years of non violent protest did not produce the wanted results, and Blacks did not have any say in their own country. While he served his prison time, he became well known and was considered the most important leader in South Africa. In February of 1985, then President Botha offered Mandela freedom, if he rejected violence as a measure. But Nelson Mandela would not agree to give up armed struggle in exchange for personal freedom, deciding only free men could enter into contracts. He was often visited by the Red Cross while in prison, and said that was the only beacon of hope available to him in those dark years. Mandela was finally released from prison in 1990, by President F.W. De Klerk. He agreed to work towards peace and reconciliation with the country’s White minority, but made it clear the struggle was nowhere near over. Black people needed to be back in the majority, and given the right to vote in their own country. South Africa’s first multi-racial elections were granted in 1994, and Mandela was elected President. He ushered in many social reforms as President, such as free health care for children under age 6, increased spending on housing, old age pensions, education, and fought to have land restored to people who had lost their property as a result of the Native Land Act of 1913. Nelson Mandela has been married three times. It is common for Cancer men to be divorced at least once, though I cannot offer a reason for this. The first marriage was to a Jehovah’s Witness whom he met in Johannesburg, and they had 2 sons and 2 daughters together. Witnesses do not recognize any authority of earthly politics except Jehovah, so this marriage ended. His second wife was Winnie Mandela, Johannesburg’s first Black city social worker. They had 2 daughters and one was only 18 mos. old when Mandela was sentenced to prison. This marriage ended in 1995, after too much political pressure and no time for Mandela to be with the family. Nelson Mandela married again, on his 80th birthday, to the widow of the former President of Mozambique. He lives at home in Qunu. 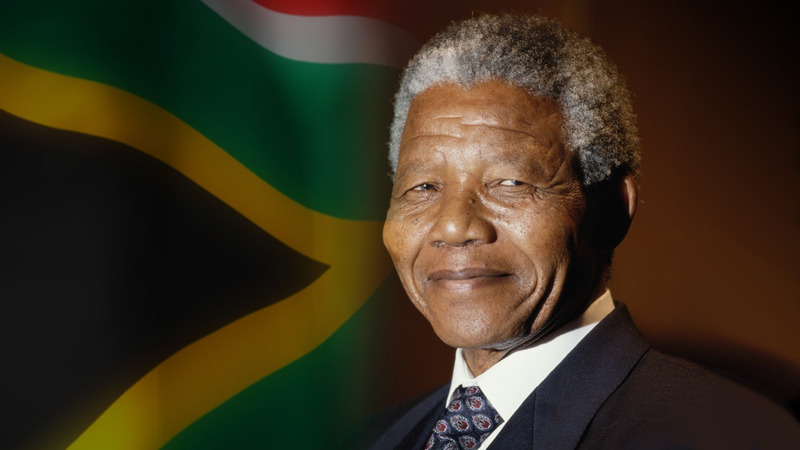 Mandela was the oldest President in South Africa to be elected at age 75, and retired when his term was over. He has expressed support for many humanitarian efforts, among them, AIDS, Make Poverty History, and SOS Children’s Village. In 2009, The United Nations General Assembly made Mandela’s birthday, July 18, “Mandela Day” a time to reflect on World Freedom. His attention to the plights of children is a very Cancerian interest. Nelson Mandela did live a long life, he died at age 95. He sacrificed so much of his life to make the world a better place for others, and President Barack Obama took his family to Robbins Island to show them what some people will endure to insure personal freedom for others. Robin Williams—7/22/1951—8/11/2014--was a well known stand up comic and an Oscar winning actor. He got his start on the TV show Mork and Mindy, playing an alien who improvised most of his lines in the funny series. Williams went to the Julliard School, where he was a classmate of Christopher Reeves, remaining a staunch friend to him and his family after his tragic accident, which led to his being quadriplegic. Apparently Williams played the role of an eccentric Russian doctor, complete with zany accent, when he visited, and it’s been said this was the first time Reeves laughed, and knew he would do well for as long as he did. Robin Williams also played a role on Happy Days, but decided he liked comedy better in front of a live audience, and began to do stand up in clubs. He was a huge hit, and had several specials on HBO, including an appearance at the Metropolitan Opera House. He was a master of dialects and could move in and out of characters in seconds, so his comedy had a frantic, yet hilarious, pace. He was in several critically acclaimed films, among them Good Morning Vietnam, Dead Poets Society and The Fisher King. But just when he thought the Academy was ignoring his acting work, he won an Oscar for Good Will Hunting, a film which also had Matt Damon and Ben Affleck, both fledgling unknowns at that time. Williams also played an adult Peter Pan in Hook, and delighted audiences once again with his improvisational skills and humor. He was also a humanitarian, and took up the Comic Relief project with Billy Crystal and Whoopi Goldberg, which was a yearly comedy special given to collect funds for homeless people. Williams also performed abroad to entertain American troops in Afghanistan and Iraq. A fan of bicycling, he owned 50 bikes and enjoyed riding them near his home in San Francisco. Robin Williams had problems with alcohol and drugs, which contributed to the breakup of his first two marriages. He has three children, and was last married to Susan Schneider, since November of 2011. Robin had a huge love for video games, and is said to have named his daughter Zelda after Princess Zelda of the very popular Legend of Zelda video role playing games. He voiced numerous cartoon characters in movies for children’s audiences as well, among them Aladdin, and The Timekeeper, a former attraction at Walt Disney World. 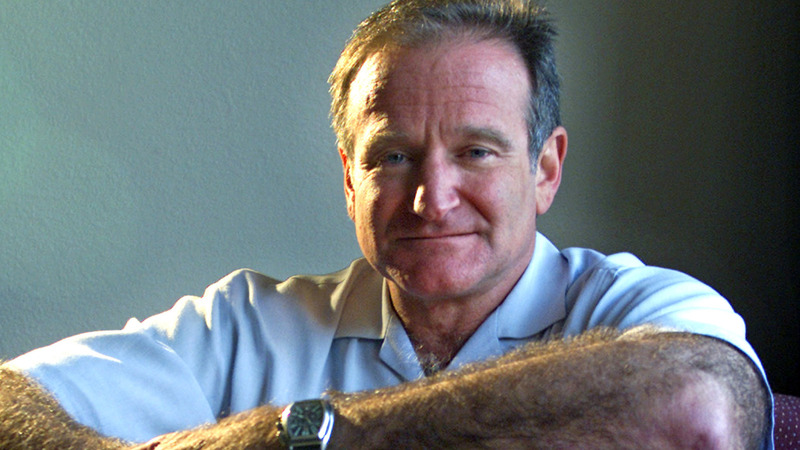 Robin Williams made his Broadway acting debut in Bengal Tiger at the Baghdad Zoo, by Rajiv Joseph. 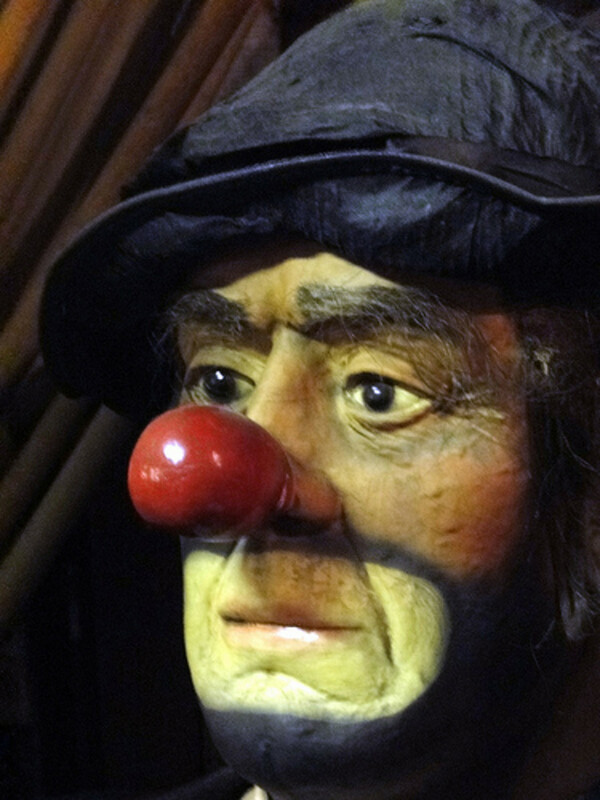 He also appeared opposite Steve Martin at Lincoln Center in an Off Broadway production of Waiting for Godot. 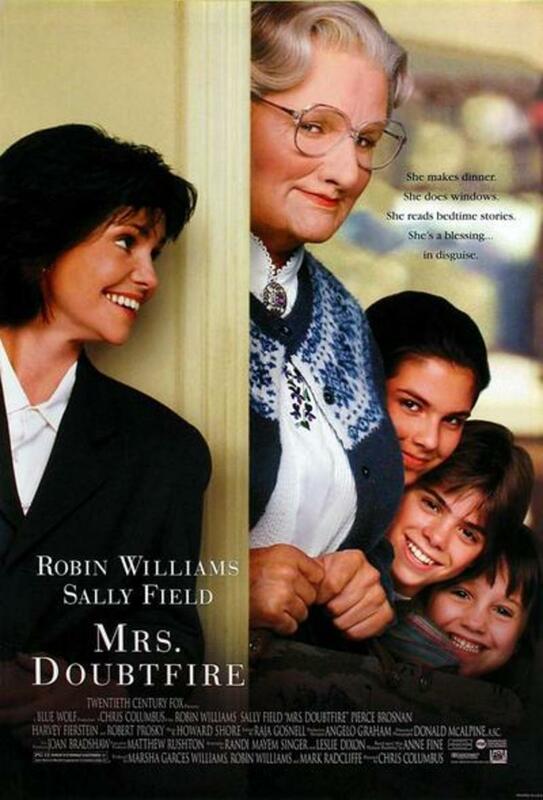 Robin Williams was a very multi talented person, true of most Cancer people. His kindness towards his friend Reeve and hard work to raise money to try to end homelessness, are other examples of the nurturing characteristic shown by Cancer people. 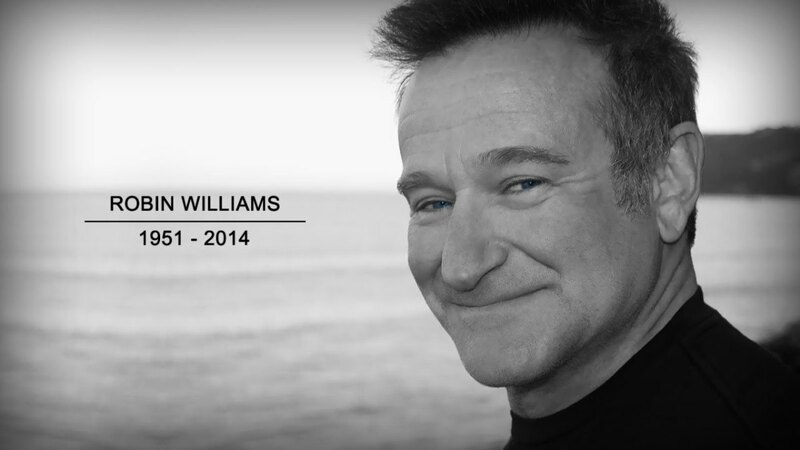 The shocking news that Williams took his own life in his home in California in 2014 deeply affected his fans, because he was so well loved by many. Apparently he had suffered many long bouts of depression, a condition which needs to be taken more seriously in the U.S. Robin was the only child of wealthy parents, and it seems he often did comedy routines for them, servants and friends, in order to be accepted, because of his shyness. When he finally won that coveted Oscar, he looked so bashful, and this writer could see the little boy in him who made people laugh because he needed so much to be loved and accepted. If only he realized how much he was loved, and by so many. Henry David Thoreau—7/12/1817—5/6/1862— was a Cancer who perhaps best expressed the need to have time alone. He wrote about this in his famous book On Walden Pond, a two year experiment, where he built his own cabin in the middle of the woods on the pond in MA, and “lived life simply and deliberately.” It has been said he even borrowed the ax he used to cut down the first trees to build with, an example of Cancerian frugality. I cannot quote him too much here, as he is one of my heroes, and I would put myself in danger of duplicate content in my own writings if I did so. Thoreau was one of the leading transcendentalists of his time, as well as an author, poet, philosopher, historian, critic of development, a tax resistor and abolitionist. His essay on Civil Disobedience is a great argument for individual resistance against the state, when one has moral objections to what the state’s objectives may be. Thoreau is best known for writing his book, On Walden Pond though, and his love of living in the simplest surroundings while enjoying nature and what beauty it has to offer. It was very important to him that people understand that they should see beyond illusions and that they really did not need so many things in order to be happy. This was in the 1800’s, so was an idea well before it’s time and one which should still be heeded today. There were some who called him an anarchist, but Thoreau was not against government, he just was against a bad one, and thought most government could be improved upon. He was born in Concord, MA, and lived in New England for all his life. 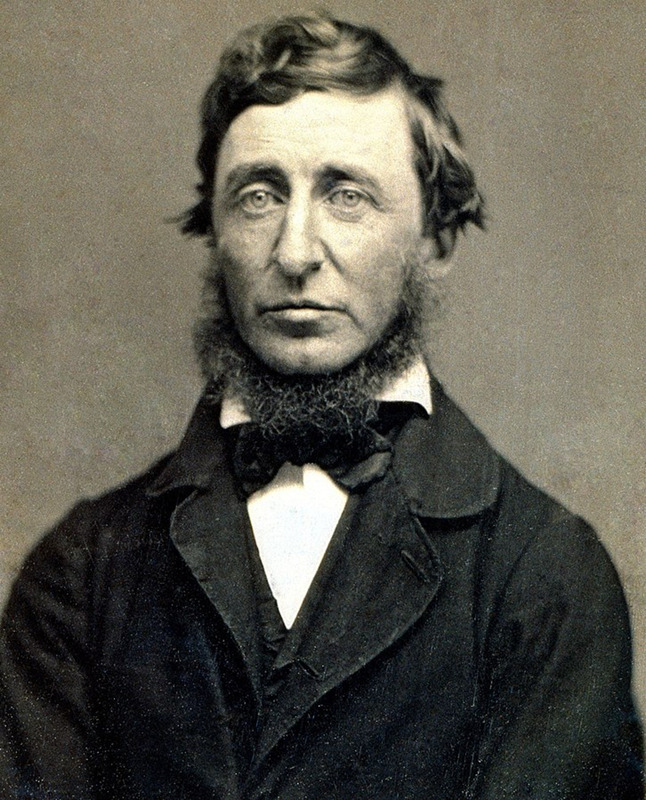 Thoreau graduated from Harvard University and refused to pay the $5.00 for his diploma. He worked as a botanist and a land surveyor. This philosopher and lover of nature was the Father of environmentalism and ecology. You are correct, her Birthday is July 30th. She is Leo. I am not a celebrity watcher, and when I wrote those articles years ago, I often looked at computer sites to find several interesting people of the time. I will fix this. Thanks for pointing this out. Sorry but Hilary Swank is not a cancer. Thanks for taking the time to read my work. I am Cancer and my husband and I were together for 39 years, five of them dating, and he passed on last January. But he was Taurus too, it's a great combination. Happy Valentine's Day. I am a Cancer and my husband is a Taurus. I believe in what you have said here. It is interesting to know the famous people in our sign. I've heard Taurus and Cancers called "the lovers of the Zodiac." It seems we do compliment each other. My husband attracts Cancers likes bees to honey. Almost all the friends and people in his life are Cancer. Thanks for reading and posting. Take care. I'm happy you liked it! 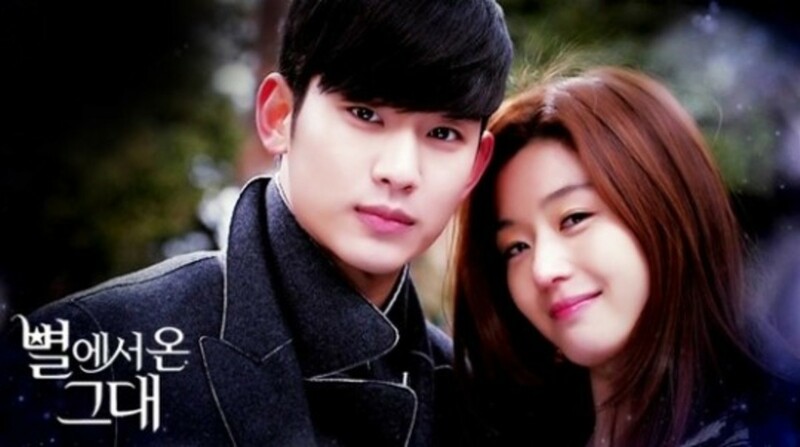 It seems that although you are attracted to Virgos, they aren't good for you. My first love was my opposite Capricorn. Everyone should get to experience that once. I know I was with him before. But it wasn't meant to be at that time. Maybe the next incarnation. Well, that's cool to know, I'm not getting any complaints, lol! I've been married for 33 yrs. We knew each other for 5 before that. I went to a very large High School, it had over 3,000 kids, and we didn't start until Sophomore year, Freshman year was considered Jr. High. Now they have 4 wings. Anyway, my husband was in one of my classes, but I didn't recall him. We met in a bar (the drinking age was 18 back then) and it was a neighborhood place, where we grew up with most of the guys there. It was a girl's night out, about 2 yrs. after HS, when some of us went to work, others to college. Louie was sitting on my left at the bar, and said he thought he knew me from someplace. A tad tipsy, I said, "Oh, can't you do better than that?" I usually am more shy, and he is reserved himself. I later recognized two friends he was there with as they had been in some of my HS classes! I felt awful I was mean to him. But he called me the next day, and we've been together ever since. He's Taurus. We both have Scorpio Acendants. Good analysis, I'm Cancer too. I am involved in the food pantry and have been trying to get a community garden going, so we can add some fresh produce to it next year. The town is resistant to change. You know how we Cancers are afraid everyone will starve! I'm glad to see you. I continue these "Famous People" things onto my blog, the link is at the end of the first paragraph, usually. Woe, to anyone who hurts a person loved by a Cancer! I am a Cancer through and through...we can be both shy AND social and in the limelight loving the center of attention. I think quite a few Cancer's I have known (as I also have) a kind of social anxiety or phobia but not one that makes you incapable of social contact. We feel out a situation for sure, sometimes are anxious because we are passionate people and that can be misconstrued if talking about a topic that turns into a debate. We are dedicated to what cause we are passionate in and tend to almost be obessive but in a good way. We don't turn our attention to a new one and abandon the old unless we have done and accomplished what we wanted. I have several and its Autism, Bullying, and PTSD. I have advocated forty hours a week voluntarily online world wide for helping people get the services they needed for their kids on the spectrum, fought an Army base for the shameful way they disregarded the needs of their soldiers with PTSD and am not backing down from dealing with bullying here and I stand up and am never a bystander. Our main problem is we are seriously emotional, at times if you catch us at the wrong moment you could think we had a mental issue, but we are over it as quick as it started when given simple validation of our feelings. We are very stubborn as well. But, we love with all we have to everyone, tend to forgive like its going out of style, are beyond loyal but don't screw over a Cancer because they also are masters at manipulation and revenge if you cross them or hurt those they love. Thanks Patrice! Are you reading the Part 2's on my blog? The Categories have a glitch that Weebly is still working on, but I'm not moving the blog after all the work I put into it. I am still going to be adding content. Thanks for the links, I've been busy with the blog problems to spend time with them, but they will be very helpful. I like the diversity of people. It shows the many ways each sign can be expressed. Thank you. Now that I'm about halfway through the signs, I wish I had done this differently. Maybe had Famous celebrities and Famous People who contributed to society, but of the same sunsign. I'm ending up with some odd combinations of people. But they do have the same Sunsign! I appreciate the visit and comment! Take care. Thank you Patrice! It's always nice to see you, and I was just reading your comment on my blog too. I expected to see more similarities in the people sharing the Sunsigns, even though I know they would have many differences due to other Astrology factors. So I've been surprised. I also realize I'm writing to all ages, so try to pick a cross section of young and young at heart people. Hey Jean, I missed this when you first published it because I haven't been getting any email notifications for a little over a week. Hope I've fixed the problem. Princess Diana is my favorite Cancer person in this group. Didn't realize Merryl Streep was a Cancer. She was brilliant in Angels in American, an HBO mini series about AIDS in the 80s. I think she got an Emmy for her performance. My dad was a Cancer - a very nurturing father who spent time with his children. Very well researched and interesting hub. Voted up! Thank you for your reading and comments. I wrote about more on my blog. I've been splitting the Famous People series between HP and http://spiritualitypathways.com. Yes, I am a Sunsign Cancer, Scorpio rising, Capricorn moon. Princess Diana's story is so tragic, although being brought up in a family such as hers, she must have suspected that marriages are sometimes made for reasons other than love. Cancers are naïve though, and she was so young. I hope William and Kate have a better time of it! An engaging hub! The late Princess Diana is my favorite famous cancer person. I admired Meryl Streep for her achievements in films. One of my good friends is a Cancer and she did good causes, especially for children, like you correctly said, a typical Cancerian trait. I read before in some comment-section of one of your hubs that you are Cancerian, right? Your son must be very nice then:). Thanks for reading and commenting. Did you check out Part II on my Blog? Nice hub. :) My first son is a Cancer and this described him perfectly. Voting up and more. Thank you for reading and commenting on this piece. wonderful hub, i religiously keep up the morale of author. well articulated subject, there are great people who challenged the cancer and gave exemplary presentations to planet. it is worth knowing hub.